Mom took Sara and me to New York City many years ago, now. We went to The Cloisters, the Metropolitan Museum’s medieval Europe showcase. There, I saw the unicorn tapestries and fell in love with them. Here is an excerpt from the story I wrote, inspired by them. The dream in which I lived–composed, as it was, of exhilaration and terror, of enamored rest and betrayed panic, of browsing and drowsing and the plunge of my horn into the side of a hound, of a sword into my side, of death and rebirth and captivity and freedom, and all this at once–that dream dissolved, and I experienced a moment. Then another. One scene stood still before my eyes: the bedroom (I knew this) of Jean de La Rochefoucauld. Jean was carousing to the New Year; the room was empty except for me. I saw myself bleeding upon the wall–all the walls. My story hung in seven panels around the stone chamber, but I stepped down from the final one. At the first stroke of midnight, the chain which bound me to my birch tree vanished as I emerged from my millefleurs background. The “thousand flowers” flattened behind me into age and fabric as I lowered myself to the floor, one cloven hoof at a time: click, click, click, click. Before me, hung the panel of the beguilement; my lady with her hand on my mane, my neck upright, maneuvering my horn so I could lay my head upon her lap, her slink-eyed maid subtly gesturing to my killers. At the last stroke of midnight, the Hunt was upon me. Hounds and hunters poured from the tapestries. Rushing through one another like the ghosts of many battles fought upon one spot, they bore me back into the hanging, and the dream began again. A century passed and, at the first stroke of midnight, between 1599 and 1600, I stepped forth, alive, again. A different bedroom, a different La Rochefoucauld, the same chill solitude of moment, then moment, then moment. At the end of a slow count of twelve, the Hunt boiled over me, dragging my living corpse back to our common reality, with the beat of my lady’s pulse thick in my ears. 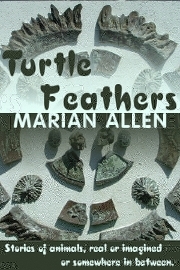 “Millefleurs” appeared in the Southern Indiana Writers’ anthology 2000 TALES and in my own collection TURTLE FEATHERS. The dog Joseph’s stepmother gave him leads him away from his intended route. Disobedience puts a young mermaid’s life into the relentless claws of a crab. A penguin thinks his fortune is made when he discovers a cache of Scotch. 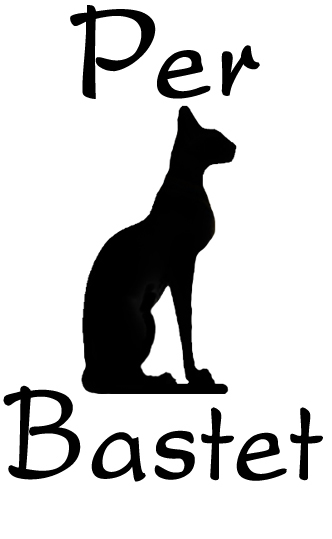 More off-beat animal stories from the author of LONNIE, ME AND THE HOUND OF HELL. All stories previously published, as noted..
Spotlighted at Darlene’s Book Nook.